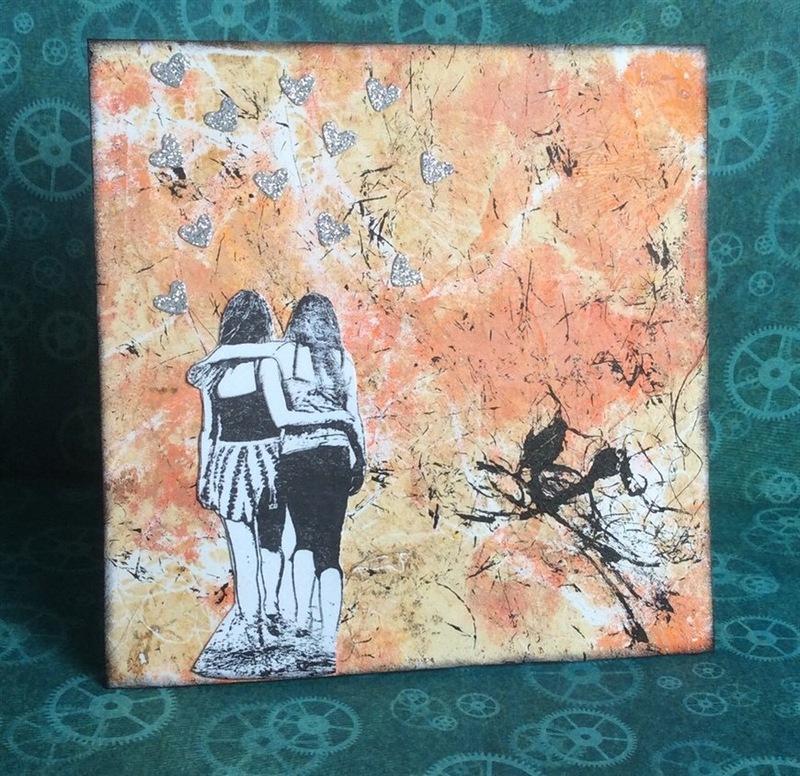 Another Gelli background with a marbled effect. I added the two girls and hearts surrounding us! 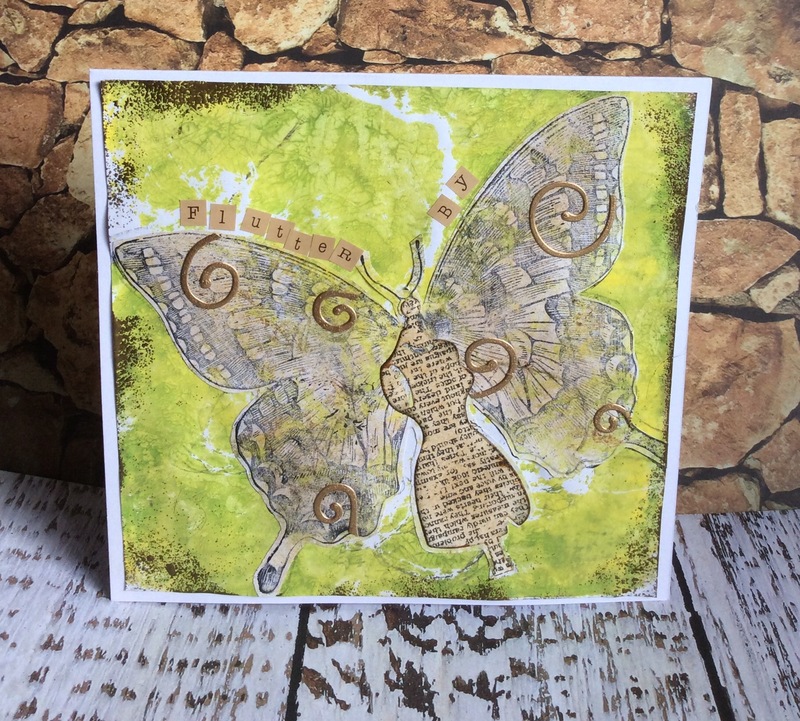 This is a Gelli print background with a marbled effect. 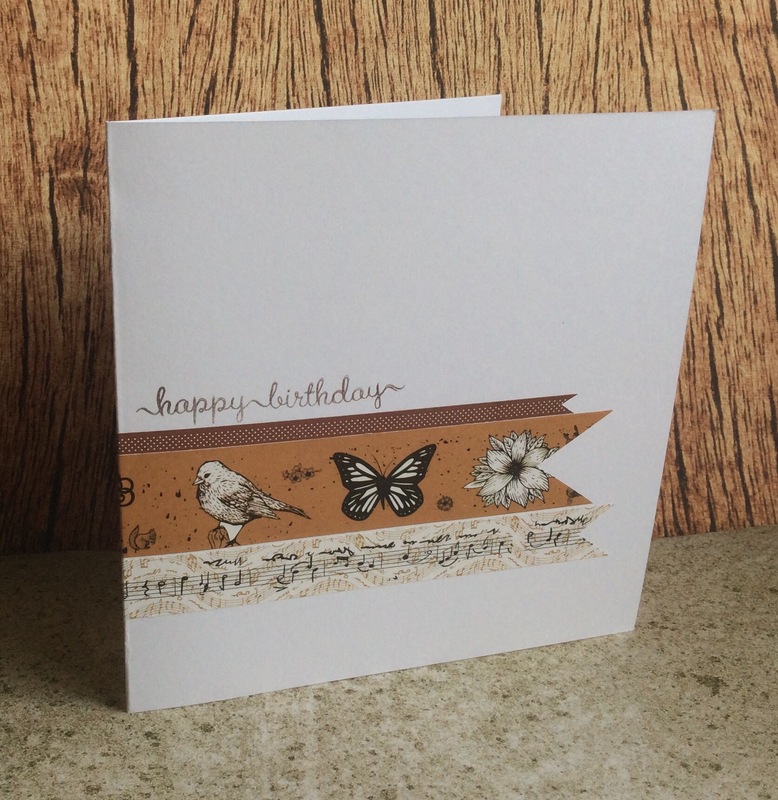 Gold embossing powder on edges, and a stamped butterfly from StampinUp with decorative swirls. A mannequin shape for the butterflies body. Alphabet tiles spell out Flutter By…. 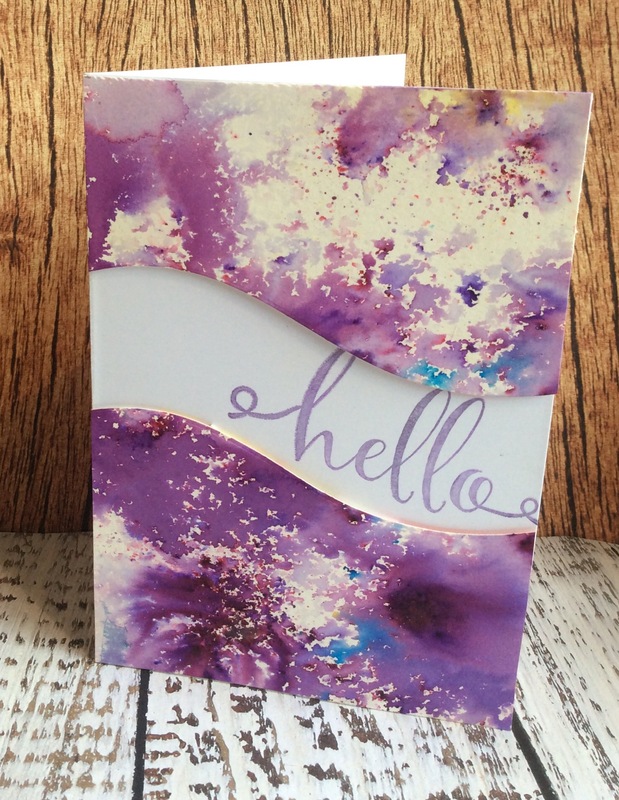 This is a card made with Brusho Inks, which are powders that you wet to bring them alive! (used watercolour paper) I die cut the edges of the paper with Impression Obssession Hill Dies to give the wave shape, and mounted them on foam tape to add dimension. Added a stamped message in between. I am hoping this will be published in Creativity magazine soon, as a Readers Make, so keep an eye out for me! I bought the lovely craft tapes from Lidls for only 99p! So I made this simple design.